Chie was out for most of the daytime, I took Erika out shopping in Kentish Town to buy things for dinner with Grandma who would be visiting in the evening. 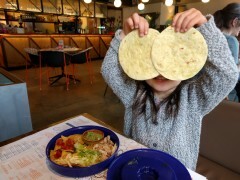 Me and Erika had lunch at Wahaca. 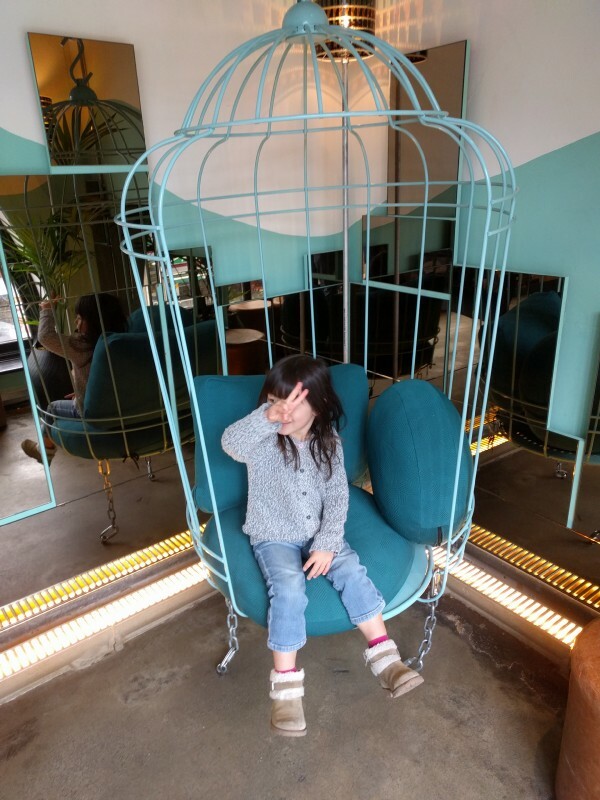 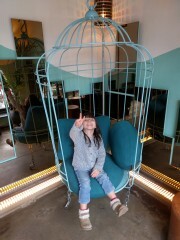 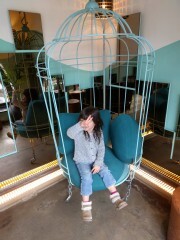 Erika in the bird cage chair thing at Wahaca. 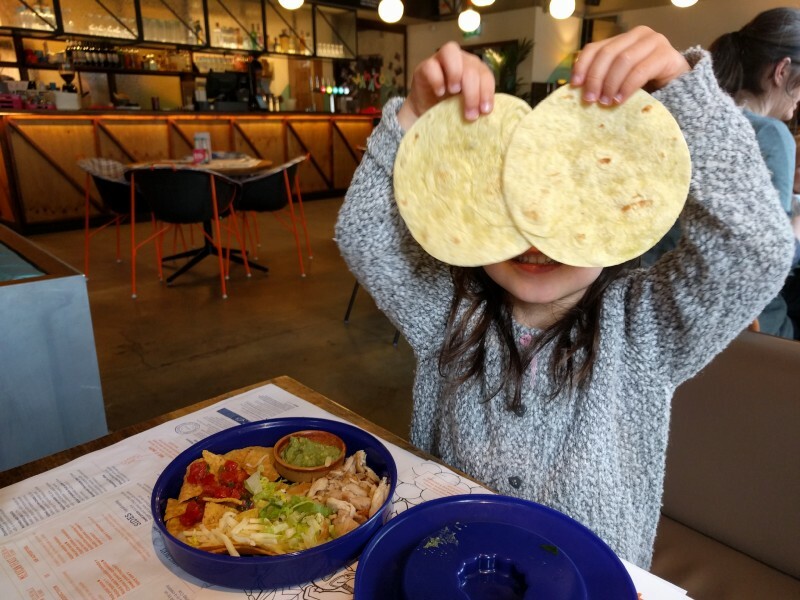 Erika with her kids tacos set.